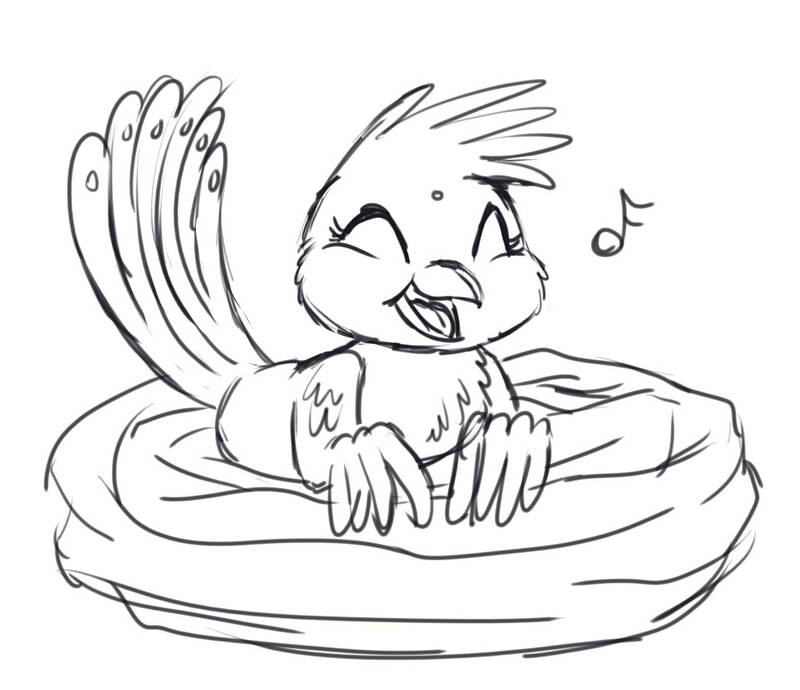 I just woke up from a dream and this happy chirpy bird was in it. She was brought into the class from a student, and the bird seem to have been taken fed regularly by the teacher for a long time. Anyway, here's what I can vaguely remember. Her feathers were mostly white with a little purple, and though I can't remember the face exactly, I do know for sure there were dots on her tail. I put a dot on her head just to have a consistent theme going. Her eyes never opened, so I don't know what color or shape they were.